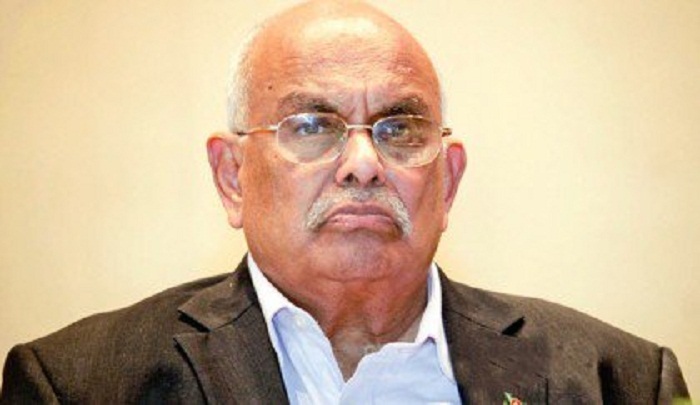 Renowned journalist and columnist Abdul Gaffar Chowdhury has been given “Lifetime Achievement Award’ for his outstanding contribution to journalism profession. Department of Mass Communication and Journalism (MCJ) of Dhaka University (DU) gave the award at a function on Sunday in Muzaffar Ahmed Chowdhury auditorium of the university. Five other students of the university have received ‘Ataus Samad Memorial Scholarship’. DU Vice-Chancellor (VC) Prof. Dr. Md. Akhtaruzzaman distributed the cheques among the recipients of scholarship as chief guest. Late journalist ABM Musa had donated money to introduce Ataus Samad Memorial Trust Fund at DU. MCJ department chairperson Professor Dr. Kaberi Gayen presided over the function while Prof Dr Golam Rahman delivered the Ataus Samad Memorial lecture on ‘Column in Newspapers: Significance and Styles’. The recipients of ‘Ataus Samad Memorial Scholarship’ are – Md. Nazmul Hussain, Mostofa Md. Tahan, Tarek Al Hasan, Ishratul Jahan Shova and Istiaque Ahmed.